Dr. Turer is a licensed psychologist in the District of Columbia. Her areas of interest include Stress Management, Mind/Body Wellness, Sleep Hygiene, Mourning & Loss, and Mindfulness/Meditation. Dr. Turer also specializes in adjustment to physical illness, injury and disability, and she has a particular interest in working with individuals and their loved ones coping with the emotional and mental ramifications of physical illness and injury. From September 2010 to September 2011, she held a fellowship at Tampa General Hospital in a program focused on burn and acute trauma psychology and rehabilitation psychology. 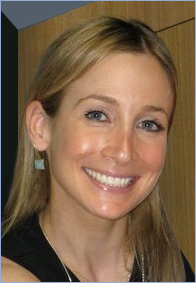 She graduated from Boston University in 2003 and earned her Psy.D. from the Illinois School of Professional Psychology in 2010.